MOSCOW, the Russian Federation, (BulgarianMilitary.com) – In an interview with the daily of the Defence Ministry Krasnaya Zvezda, the commandant of the Russian military academy Zhukov Air and Space Defense Academy, Lieutenant General Vladimir Lyaporov, said that the medium-range surface-to-air missile systems S-350 Vityaz and the surface-to-air missile/anti-ballistic missile system S-500 were about enter service with the Russian armed forces soon, learned BulgarianMilitary.com. In his interview, published today, the head of the Tver-based academy notes that the training of the first officers who will complete the academy’s course to operate the S-500 long-range systems will be held this year. “The systems are yet to enter service, but we expect them to do so in the near future,” he adds. The S-500 reportedly will form the backbone of Russia’s integrated air defense and missile defense system. The general added that the center was about to receive and the first S-350 Vityaz systems in the end of this year. Previously, the Minister of Defence Sergei Shoigu specified that the Russian troops would start receiving the S-500 systems in 2020. The system will be capable to destroy both ballistic missiles and air-breathing targets, including planes and UAVs, depending on the type of missiles it is equipped with. Earlier, some Western media reported that the Russian advanced system was able to shoot down a target at a distance of 481.2 km, speed that exceeded the previous record by 80 km. In May last year, at a meeting with Russia’s top brass and executives of defense-sector enterprises, Russia’s President Vladimir Putin called the S-500 missile systems be prepared for mass production. 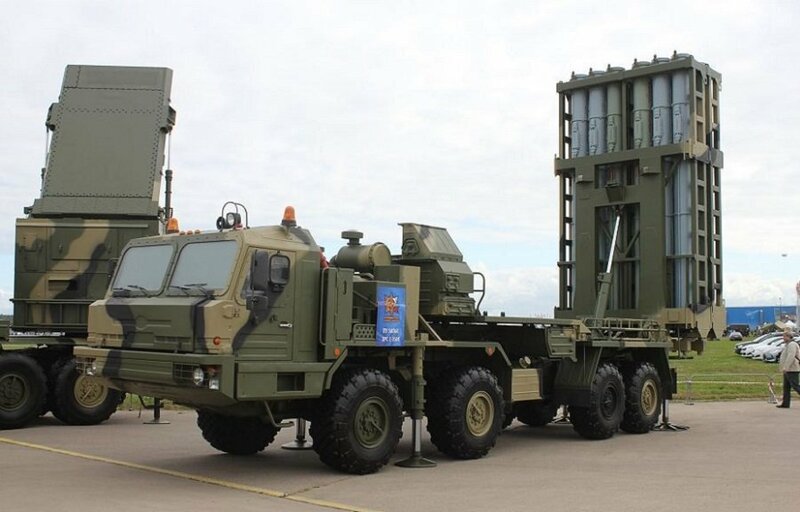 The S-350 Vityaz, which is a medium-range surface-to-air missile system designed to defend important administrative and military facilities against airstrikes, operates automatically with a team that deploys and controls the weapon from a command post 50K6E. The crew comprises three men. The S-350 is equipped with multifunctional radars 50N6E and launchers 50P6E with 12 9M96E2 missiles each. It is capable to fire at 12 ballistic or 16 air targets, simultaneously. The maximum range is 60 km and 30 km in altitude. The time for deployment is 5 minutes.